Terminus of Roadrail line with reversing loop and trains in station and in siding. London & North-Eastern Railway branch 1906. 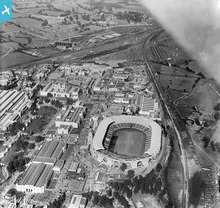 Metropolitan Railway Works with power station. 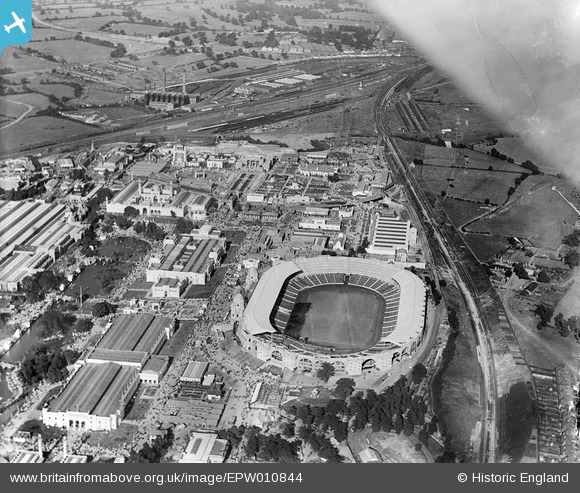 A fine view of Wembley stadium with the Empire Exhibition crowds milling about outside.